Product prices and availability are accurate as of 2019-04-21 11:11:22 EDT and are subject to change. Any price and availability information displayed on http://www.amazon.com/ at the time of purchase will apply to the purchase of this product. We call it the Smart Chair, due to it's low maintenance, light weight and because it is so easy to fold and take anywhere. Weighing only 50 lbs, the Smart Chair is the most convenient, innovative and portable power wheelchair on the market. It's easy to fold & suitable for traveling in any type of vehicle: Car, Truck, SUV, Taxi, Bus, Train, Cruise Ship or Airplane. 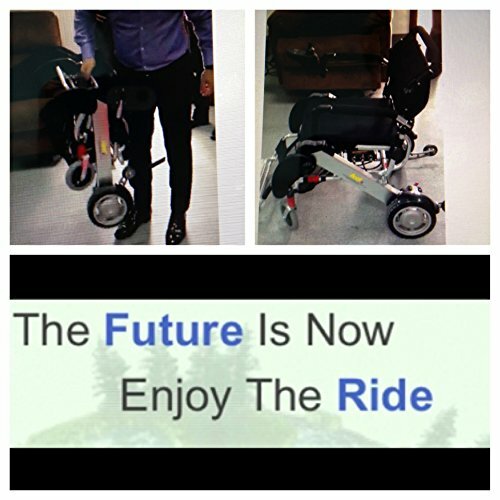 Smart Chair - Electric Wheelchair is driven by technology that is far more advanced than its competitors. The Smart Chair has an amazing turning radius that makes it extremely easy to maneuver through tight hallways and doorways. Older model electronic wheelchairs are generally bulky and may not fit through all openings. 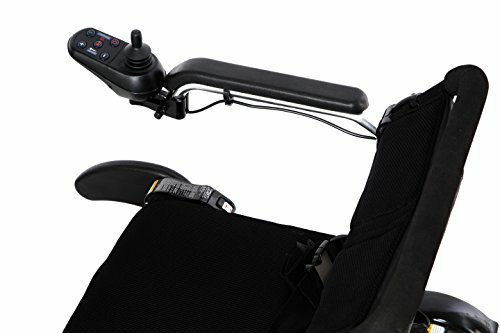 Plus, the Smart Chair's powerful motor helps it easily climb steep ramps and hills (up to 12 degrees in slope!) that is far greater than our competitors. Smart Chair - Electric Wheelchair battery is Eco Friendly. A fully charged battery lasts up to 9.3 miles of constant use - that's enough to travel around Central Park 7 times! It is the first in the industry to use an environmentally friendly lithium ion phosphate battery, whose cycle life can reach up to 500 times or more than conventional electric wheelchairs. Smart Chair - Electric Wheelchair easily folds up and stores in any car trunk. You will never need to buy an expensive lift gate for your car and go through the trouble of having it installed. Smart Chair - Electric Wheelchair is sure to fit anywhere, as folds and stores with ease - and it is so light weight, virtually anyone is able to lift it for easy storage. Here is the Best thing about Smart Chair - Electric Wheelchair: it is Less Expensive than older model electric wheelchairs! 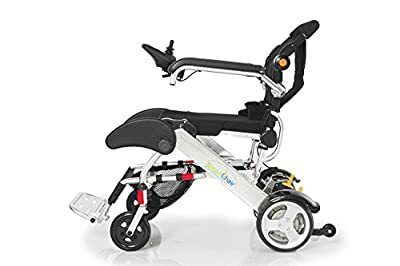 It weighs only 50 pounds and fits virtually anywhere Folds in seconds for easy storage in your car, SUV or closet Lithium Ion battery can travel up to 15 miles More compact in size than traditional wheelchairs FDA 510K Cleared Medical Device! Dont Be fooled by imitators!